Find a Bagpiper for hire near you in minutes! Option 1. Enter your event location below & contact a Bagpiper directly! Option 2. Request multiple quotes from available Bagpipers Get Quotes! Option 3. Read information & advice on hiring Bagpipers Read Advice! WANT TO KNOW MORE ABOUT BAGPIPERS? Read on for the most comprehensive guide to booking a Bagpiper, including how much a Bagpiper costs, exactly what they will do at your event, plus tips, advice and information to help make your event one to remember! 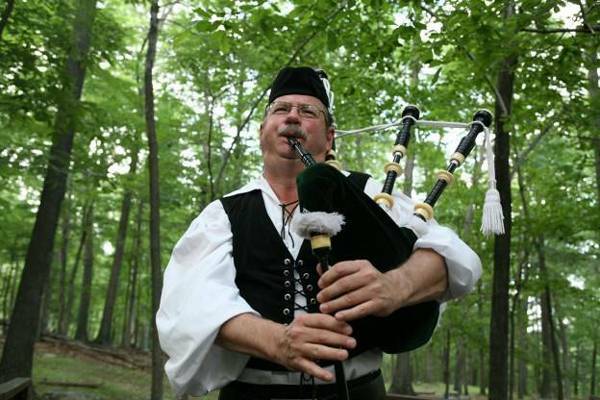 A professional Bagpiper will play traditional Celtic songs on the bagpipes as well as versions of modern songs! What exactly will a Bagpiper do at your event? Find a Bagpiper for hire at your event and you will get a talented Bagpiper trained up to a professional standard. 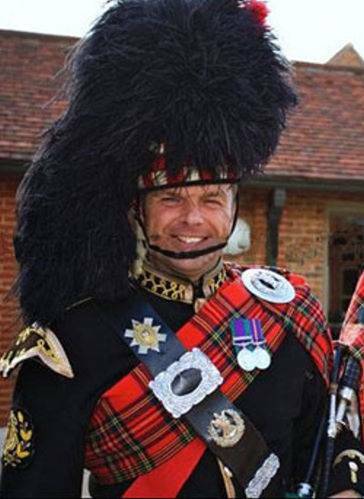 The Bagpiper will honour the long-established beautiful sounds of Scotland wth renditions of traditional bagpipe songs such as ‘Scotland the Brave’, ‘Flowers of the Forest’ and ‘The Barren Rocks of Aden’. Additionally, when you book a Bagpiper, you will get so much more than that! You will also get a Bagpiper who will play popular versions of modern chart music as well! Mainly, a Bagpiper will entertain your audience with a fantastic live show that will put the wow factor into celebrations and impress your guests, whatever their entertainment tastes may be. What event types are Bagpipers hired for? Hiring a Bagpiper for your wedding ceremony will add a touch of class and Scottish magic to your big moment! 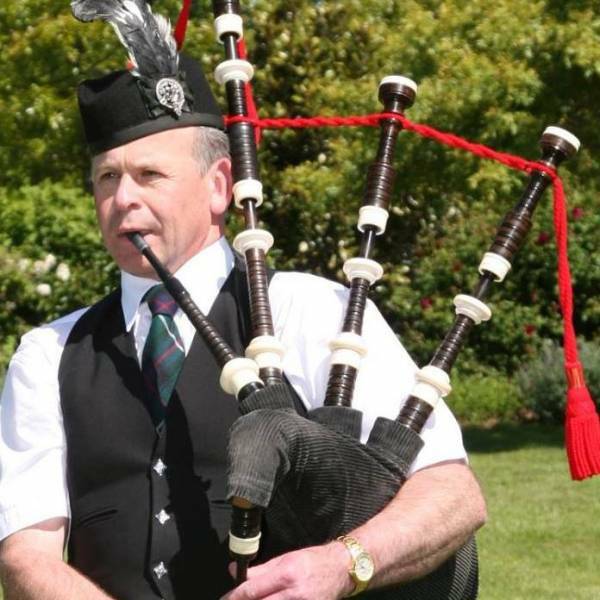 The Bagpiper can be set up to perform outside of the wedding venue, welcoming guests with a traditional wedding pipe song such as ‘Mhairies Wedding’. The Bagpiper can continue playing for the welcoming of the bridal car where they will then play an extra special song for the brides entrance! The Bagpiper will then go on to play for the bride and grooms register signing and then they can perform a celebratory piping song to rejoice with the newlyweds as they walk out of the venue! Get a Bagpiper for hire to play at the Wedding Drinks Reception! The piper will welcome the wedding guests and, of course, the newlyweds into the wedding drinks reception. The Bagpiper can play the fantastic sound of pipes as the wedding photographer takes shots of the man and wife, family and friends! guests are greeted and seated. The Bagpipes emit a very striking sound which is often used at traditional ceremonies and in particular, it’s used to welcome people! Hire a Bagpiper as musical entertainment at your wedding evening reception! They can either pipe outside your wedding evening reception venue to entice the guests in, or, they can perform as part of the musical entertainment inside of the evening venue! The Bagpipes are a favourable option for many corporations to hire as their musical entertainment as they are regarded as historic and classy. You can hire a Bagpiper to play the Scottish pipes for your work-do entertainment! Whether it’s a dinner party, a gala dinner, leaving do for a colleague or an end of financial year party, a Bagpiper will perform the Scottish pipes to all of your clients and co-workers alike! A Professional Bagpiper is also an excellent choice for television spots, product launches, film-shoots, photo-shoots and public ceremonies. A trained Bagpiper will turn up at your event in the traditional clothes you would expect from a Bagpiper! There’s not many instruments that demand the musician to wear specially designed clothes, but the Bagpipes require the Bagpiper to wear a traditional Scottish kilt with a sporran, a black jacket with silver buttons, a tarton waistcoat, and high off-white socks. So when you hire a Bagpiper, you can expect to get the whole shebang! A Bagpiper can perform as part of a birthday celebration where they can tailor a setlist to suit you! If you desire pop songs to be given a Bagpipe make-over, then just use our personal messaging service to enquire with the Bagpiper! You can also hire a Bagpiper for your Burns Night celebrations! Whilst you’re tucking into your haggis and sporting all the tartan you own, you can book a Bagpiper to blow the sounds of the Highlands to celebrate the life of the great Scottish poet Robert Burns! As well as Burns Night celebrations, you may want to hire a traditional Bagpipe Player to blow the pipes at your New Years Eve celebration where they can perform the New Years Eve classic ‘Auld Lang Syne!’. How much do Bagpipers cost to hire? Our simple to use entertainment directory allows you to firstly search for the best Bagpipers who are local (or travel to your area) and then via the contact form you may contact them directly to enquire for a no obligation quote to perform at your event. Some acts will also add a rough price guide to their profile for your convenience. What are the usual set formats and performance length for Bagpipers? A Bagpiper can tailor their performance to times to suit you and your event, however, on average, a professional Bagpiper will perform for two hours. How much space will a Bagpiper need at your event? A Bagpiper is a mobile instrument and so the piper can stay stationary or move around. Either way, they will not need much space to play their instrument. We advise to have an area no smaller than 3x3 metres. What equipment and set up requirements do Bagpipers need? As with most artists who sign up to Entertainersworldwide.com, a Bagpiper will provide all of their own equipment. You may want to enquire if an artist needs a PA to amplify their sound, in which case we would advise to use our easy to use messaging service to find out. We do ask that each performer gets a backstage area in which they can prepare for the performance ahead. If your venue does not have a backstage area, then we kindly ask that you enquire with the venue to seek an alternative space in which the performer can comfortably get ready to entertain. How can you find and book a Bagpiper with Entertainersworldwide.com? Hiring Bagpipers, Tips, Advice and How to Book! WANT TO RECEIVE A RANGE OF QUOTES FROM Bagpipers?